“Check, double check and check again.” This was possibly the best advice I received early in my career. I followed through on my boss’ advice. I believe that this was the reason why it was noted on my performance evaluation that I was action-oriented and reliable without supervision. In later years I realized that the checking, double checking and checking again advice wasn’t going to work for me or for the people I was leading. During my very first role as a people manager, I understood that there is a fine line between being an effective leader and being a micro-manager. Effective leaders know that they are ultimately accountable for the mandate that they have been given to deliver through the people they lead. Micro-managers, in their zeal to produce results, get overly involved in the work of the people they lead. These managers don’t confidently delegate and set expectations. And when they do, they obsessively check, double check and check again on the work of their people, instead of letting their people, who are responsible for operations, implementation and deliverables, do the required checking. Here are 3 tips on how managers can avoid micro-managing, or can take to stop micro-managing and 3 tips on how employees can avoid being micro-managed. Seeking mentorship and coaching from experienced, respected professionals you trust and who can help you to develop an effective leadership style. Open communication in a dedicated forum (e.g. team meeting, off-site retreat) to discuss the mandated goals of the team and how team members will be empowered, engaged and held accountable. The mark of a great leader is the capacity to inspire and work with and through other people to achieve goals. What’s his or her motivation? Who does he or she network with? What’s his/her vision of the future role of the department or his/her leadership? Managing people is not for everybody. Managers who find it difficult to delegate and are caught in the micro-management trap should consider alternative leadership roles, such as an internal consultant, technical expert or advisor, and make an outstanding contribution to corporate objectives. Moving on is an option for employees who are being micro-managed. If excessive time and effort have to be invested in trying to understand and work with a micro-manager to the detriment of job satisfaction, engagement and optimal performance, the employee should decide whether to stay or to leave. There are numerous definitions of “leadership.” No matter how you look at it, leadership is really about inspiring people to achieve goals. It takes effective leadership to successfully achieve goals, regardless of whether they are tied to revenues and profits, a desired future state of a country, implementing a new programme or promoting a cause. While I won’t attempt to definitively answer this question, I do know that there are some people for whom inspiring others to achieve goals comes naturally. There are others who, with coaching and formal training, perform remarkably well as strong, successful leaders. Having served in formal leadership positions in the corporate world and in voluntary and not-for-profit organizations, I am convinced that a key determinant of success is the personal motivation to lead. Those who aspire to leadership positions must really want to lead and must be highly motivated to achieve goals through and with the people they lead. Do you love power more than you care about people? Is competing for the position more important than your commitment to the cause / vision / goals ? 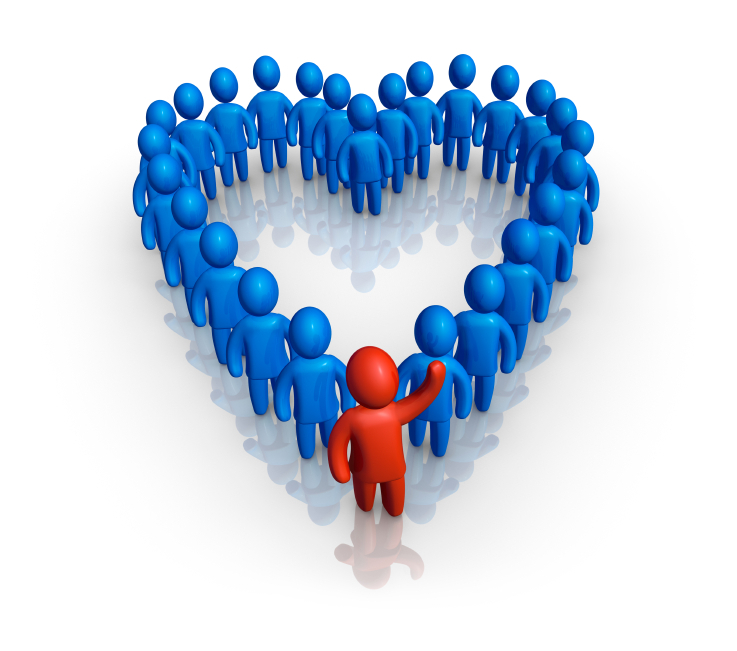 Leaders must love people more than power. They must be more committed to the cause than to competition. Nothing is wrong with aspiring to positions of power. In a civilized society, positions of power – whether corporate, social or political – provide opportunities for leaders to influence and create change that ultimately benefits people. Good, ethical leaders should be motivated to aspire to positions of power because of the opportunity it affords them to help people. Aspiring to positions of power involves competition. Competing for a position of power should really be a healthy activity, giving aspiring candidates the opportunity to demonstrate why they should be selected to lead. How people will benefit from his/her leadership. it’s about being committed to the cause. Once a leader is in place, success will be largely dependent on several leadership traits. For me, the most important is courage, both inner courage and outer courage. Inner courage is the unwavering commitment to personal values and integrity, including the ability to honestly decide if the leadership position is the right fit and in the best interest of all concerned. Public courage is about being prepared to make tough calls, unpopular decisions and persistent commitment, even in the face of scathing and unfair criticism. Above all, at the heart of effective leadership is the desire and motivation to serve. Although leaders serve by inspiring people to achieve goals, outstanding leaders always see the big picture of the overarching benefits of achieving the goals. More important than focusing on the position of power and the process to get there, is that every aspiring leader must be even more committed to the sustainable success of the organization, people and country they intend to lead. Camille Isaacs-Morell is a proven marketing strategy and business development enabler who thrives when leading in contexts of transformation and change. She enthusiastically seeks her next leadership challenge. Camille was motivated to write this post in the aftermath of the Brexit campaign and the US Republican and Democratic Parties’ National Conventions.